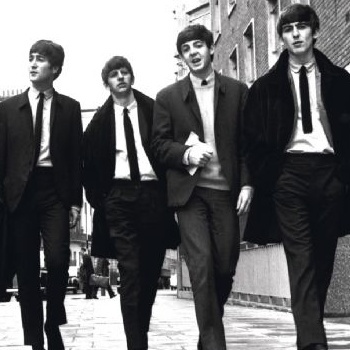 After what seems like forever, Apple and record label EMI have reached an agreement that makes The Beatles' entire back catalogue available to download from iTunes. Since its launch in 2003, the iTunes store has boasted some notable omissions -- Led Zepplin (who has since joined the fold), AC/DC, most of Radiohead -- but today, one of the biggest holdouts can be stricken off of that list. Apple announced this morning that it had reached an agreement with record label EMI, resulting in the entire back catalogue of Beatles tunes being made available for download. Individual songs will retail for $1.29 (99p), while albums will run $12.99 (Â£10.99). This is the latest in a long run of legal disputes between the record label and the tech giant. The BBC reminds us that "for years The Beatles' music label Apple Corps was involved in a bitter trademark dispute with Apple the computer company. The dispute was finally settled in 2007." Today's announcement came with the blessing of each of the Fab Four's estates, indicating that the holdout was on the part of the record label, and not the band itself. The BBC also notes a possible olive branch from Apple to Beatles fans: to complete your digital music collection in one fell swoop, "a box set, containing all 13 remastered studio albums is available for Â£125 [$149.99 USD]. It includes the Beatles very first US concert in its entirety." I may hold out, though; I've heard on good authority that money can't buy me love.